BAM's Bakery Shop, an alternative to the traditional lemonade stand, is selling cupcakes and other baked goods in Boise's North End. 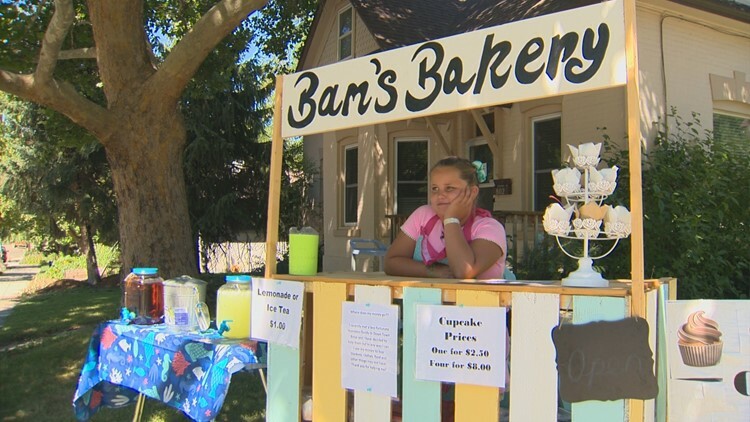 BOISE — You see them in almost every neighborhood across America - the summertime stand set up by kids in their first entrepreneurial effort, usually selling lemonade or some sort of arts and crafts. In Boise's North End you will find a little girl hoping to earn more than a little spending cash. 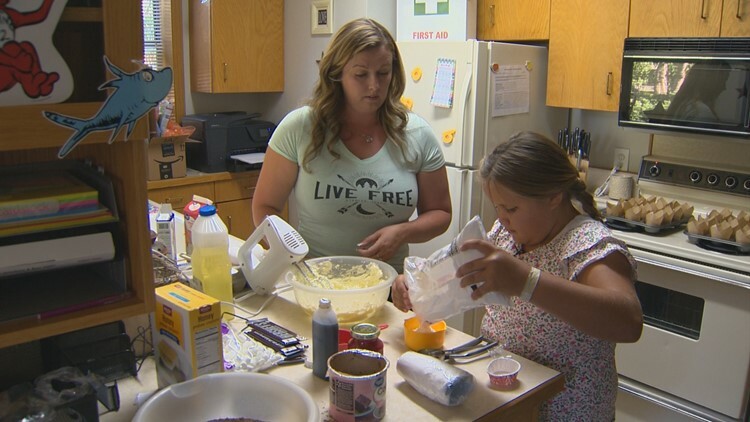 Ever since school let out, BentLee Martinez has set up BAM's Bakery Shop, named for her initials and nickname, under the shade of the front yard maple tree. Setting up usually leads to standing by, and waiting for customers. "Nothing's stopping her," says BentLee's mom, Stephanie Ford. 'Nope, not at all.'" The waiting is worth it for BentLee. "I really thought she'd lose interest in about a day or two and we'd be selling the stand or putting it in the garage," Stephanie admits. But the stand stands, a beacon for BentLee's baked goods, including cherry limeade and smores, all handmade by her. "Yeah, my mom helps me a little," BentLee says. Every night, you can find them in the kitchen, probably BentLee's favorite part of the process. "'Cause you get to, at the end of the mixing, you get to taste it," BentLee says. BentLee and her mom spend each evening baking. Some nights they're up past midnight. By morning, though, BAM's Bakery is back in business, an endeavor that began as a kind of quixotic quest. "So, it was her idea to raise money all summer and then she would take her family on vacation," Stephanie says. The vacation destination: Universal Studios in Florida, a hefty pricetag for a family of seven. "A lot, like a thousand or something, for every person," BentLee estimates. Then about a month ago BentLee and her family were downtown and saw a homeless couple sleeping in an alley. They gave them burgers and blankets, but it also gave BentLee an idea. "And I was just thinking about all the money I had and that they don't have that much," BentLee recalls. "So I was thinking I could buy them clothes and stuff for them to survive." Now, instead of paying for a 9-year-old's personal profit, BentLee's customers are paying for a purpose. "That's so cool," a woman buying a couple of cupcakes tells BentLee. "Thanks for doing it." Every dollar BentLee brings in from her cupcake corner will go to Boise's homeless. A spontaneous summer start-up has evolved into a more meaningful mission. "She makes good money and she's willing to just give it all away," Stephanie says. BentLee and her mom usually make about four dozen cupcakes and she usually sells out each day, which is good news for her quest help as many homeless people as she can. If this story has you craving a cupcake or a glass of lemonade, visit BAM's Bakery at the intersection of 8th and Brumback in Boise's North End.